Oregon’s child welfare system failed in every area in a federal study and is “trending in the wrong direction,” allowing ongoing abuse and failing to conduct regular check-ins with foster children. A new federal study finds Oregon’s child welfare system is failing across the board when it comes to keeping thousands of children in state care safe and healthy. According to the report, caseworkers are still taking too long to check on allegations of abuse and neglect, with just more than half of investigations completed on time. Even in the most serious cases, where check-ins are required within 24 hours, the state met that goal less than two-thirds of the time. “Oregon is trending in the wrong direction,” the report said. The state has also struggled to keep children who’ve been abused from enduring new harm, either in state custody or after they leave it. Parents aren’t able to see their children as often as they should. The findings, released Wednesday in response to public records requests, show Oregon’s system losing ground after passing three of 14 areas in a similar review in 2008. They also add to the turmoil and scandal that’s encompassed the Department of Human Services. Weeks ago, in the face of a $60 million lawsuit alleging neglect and abuse, the department’s new permanent director, Clyde Saiki, fired two of the agency’s most senior child welfare officials. That lawsuit also follows months of scandal involving a Northeast Portland provider accused of neglecting children and misspending state money for years, all under the watch of state officials who discussed the problems in emails and meetings but allowed the provider to remain open. That scandal prompted an earlier staffing shakeup last year. It also helped fuel legislation this year that created a foster care advisory commission, while also requiring quarterly reports on abuse, tightening licensing rules for providers and making it a crime for officials to knowingly ignore neglect. 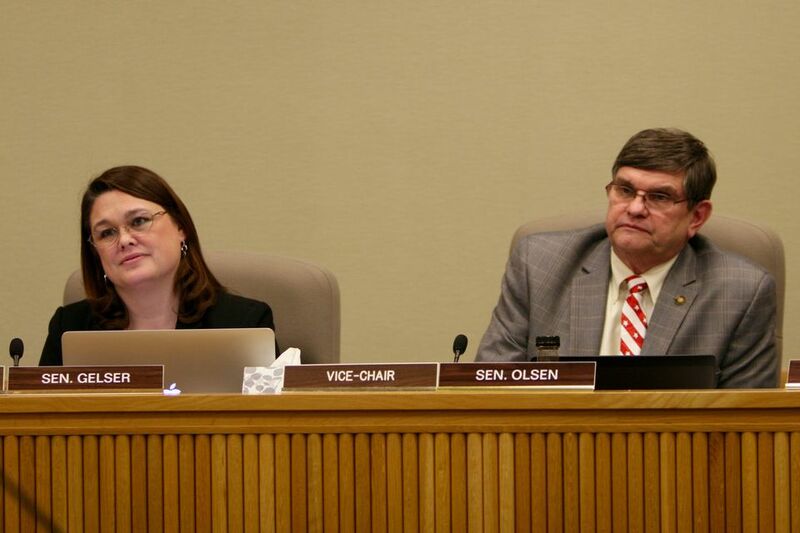 “This just confirms that the problems are deep and systemic, and not a one-off,” said Sen. Sara Gelser, D-Corvallis, who drafted new licensing regulations in Senate Bill 1515. Saiki sent a statement to lawmakers before releasing the current draft of the federal Child and Family Services Review and other reports to The Oregonian/OregonLive. A final report is expected later this year, after officials conduct in-person interviews and spend time carefully reviewing dozens of case files. States that don’t meet national standards must work up an improvement plan or risk federal funding. The 2008 plan emphasized the need for prompt investigations of abuse and finding ways to keep down the rate at which victims in the system are re-abused. Saiki told lawmakers that it remains “very likely Oregon will not meet national standards in the final report.” He also said “it was clear” that the department “was not appropriately working and tracking” the improvement plan it launched after the 2008 study pointed to ongoing problems. In one bright spot, the report said Oregon’s caseworkers have done a better job meeting with children at least once a month. That rate climbed to 90.1 percent from January 2015 to February 2016. Monthly visits are especially important for keeping children safe, advocates say, because they allow caseworkers to not only check for signs of abuse but also ensure that children are receiving adequate mental health care and adjusting to new schools. An investigation by The Oregonian/OregonLive last year found officials went months without publicly reporting that data in monthly reports. Gelser, who championed reform legislation this year, said the report showed why — and where — Oregon lawmakers should spend more money on improving foster care when they head back into session in 2017. More investigations will finish on time, with better results, if caseloads shrink. She also said reimbursement rates may have to rise if the system hopes to recruit new foster families and providers, particularly those that specialize in mental health treatment. She argued Saiki’s “candid response” on the dismal findings in the federal review shows he’s well-positioned to continue winning lawmakers’ trust. Gov. Kate Brown, who took over for Gov. John Kitzhaber in 2015, appointed Saiki interim director of the human services department that fall. The job became permanent last month. Saiki’s ascent came as Willamette Week reported on a scandal involving provider Give Us This Day whose roots reach back to Gov. Ted Kulongoski’s administration. Brown also announced an outside review of the state’s child welfare system. The Oregonian/OregonLive’s Jim Ryan contributed to this report.